Styled with caldara short . Or any other of-the-moment bottoms. 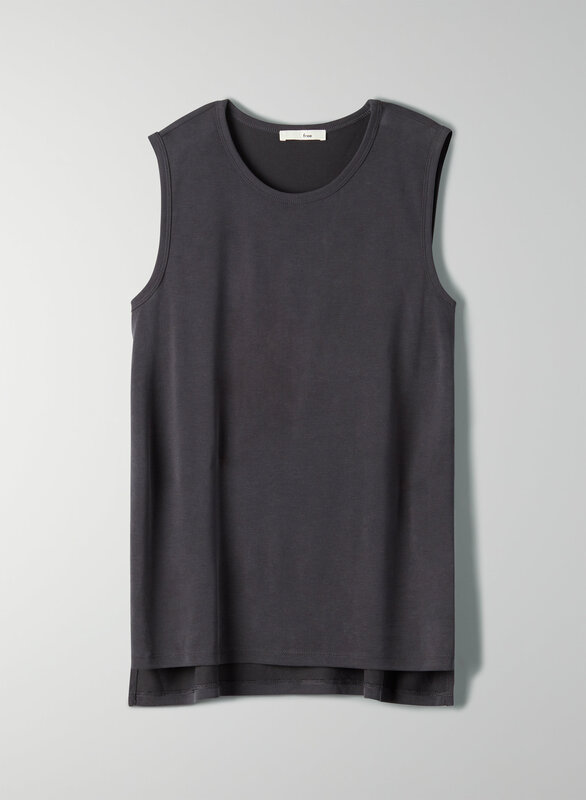 This is a crewneck tank with deep armholes and a stepped hem (it's longer in the back.) It's made with a drapey jersey-like fabric that's been brushed for a matte finish.